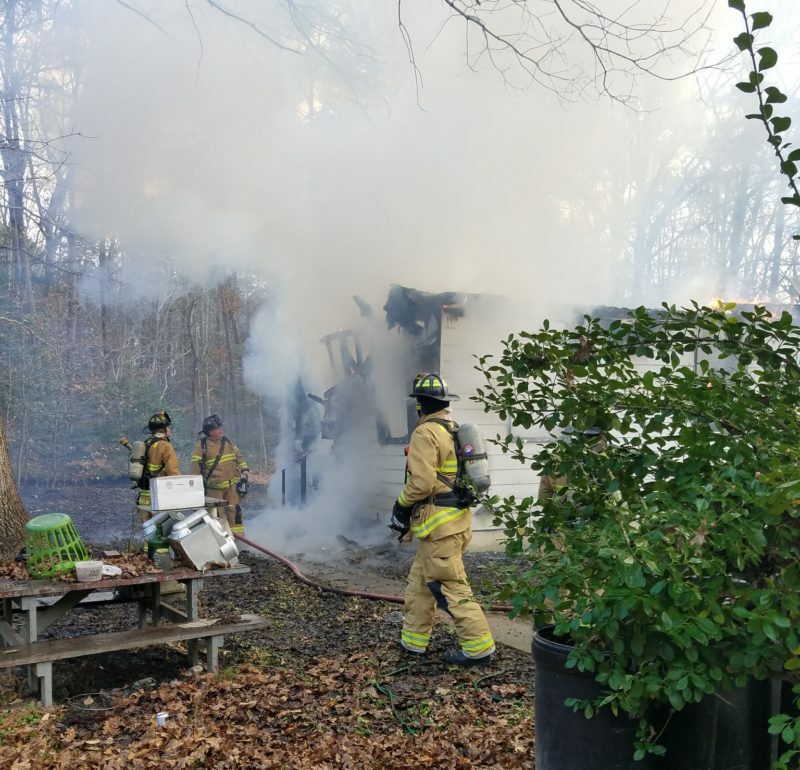 UPDATE: On November 30, 2018 at 11:00 a.m., Firefighters from Nanjemoy Volunteer Fire Department and surrounding companies responded to 8349 Bowie Road, in Nanjemoy for a 1 story single family house fire. 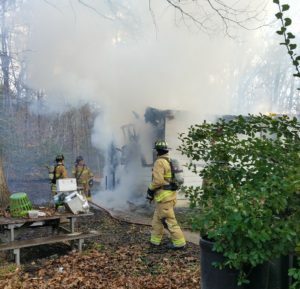 The estimated loss of structure and contents is valued at $75,000. The single occupant and homeowner has been identified as William Keys. Smoke alarms were present, but unknown if activated, with no fire alarms or sprinkler systems in place. Approximately 30 firefighters controlled the fire in 20 minutes, with no injuries reported. The origin of the fire was determined to be the kitchen and was found by the homeowner. After investigation, the preliminary cause was determined to be accidental, due to a microwave malfunction. The homeowner, who is blind, was outside and heard a “popping” noise. He went to investigate and felt extreme heat on his face from inside the rear door of his home. He is being assisted by then American Red Cross, family and friends. 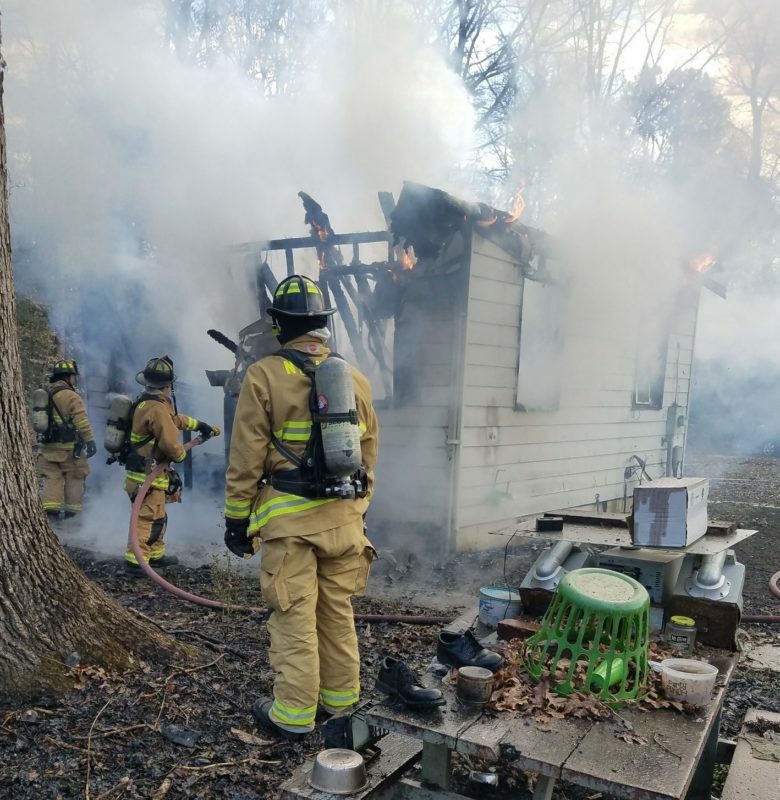 12/02/18: On Friday, November 30, 2018 at approximately 10:30 a.m., Volunteer Firefighters from Nanjemoy, Bryan’s Road, Bel Alton, Indian Head, La Plata, and Hughesville responded to 8349 Bowie Road, in Nanjemoy for the reported structure fire. Crews arrived on scene to find a single story residence with fire and smoke showing. Firefighters controlled and extinguished the fire in approximately 45 minutes. No injuries were reported and all occupants of the home were accounted for. This entry was posted on December 2, 2018 at 1:15 pm and is filed under All News, Charles News, County, Fire & Rescue, More News, z 600X120 Top Ad Bottom, z 600X120 Top Ad Top. You can follow any responses to this entry through the RSS 2.0 feed.